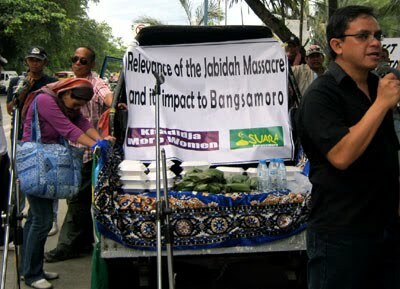 Photos released by the Suara Bangasamoro and Khadidia Moro Women show the activities - forum and march rally - in Davao City in Mindanao during the commemoration of the 43rd year of the “Jabidah Massacre” on Friday, March 18, 2011. 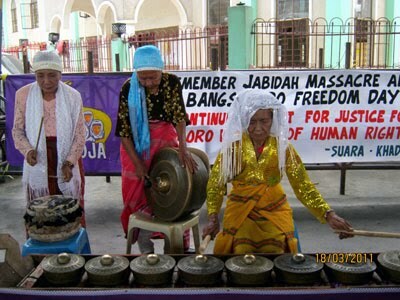 The Jabidah massacre, also known as the “Corregidor massacre,” refers to an incident on December 30, 1967 in which members of the Armed Forces of the Philippines massacred a number of Moro recruits under their supervision. 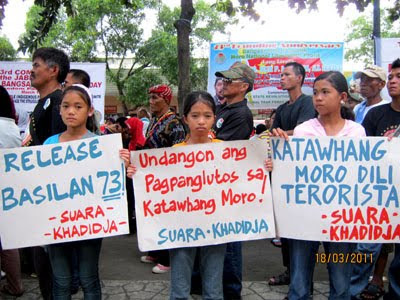 Sources differ regarding the details, with the number of victims ranging from 14 to 68, but the Jabidah massacre is widely regarded as having been the catalyst behind the modern Moro insurgencies in the Southern Philippines.